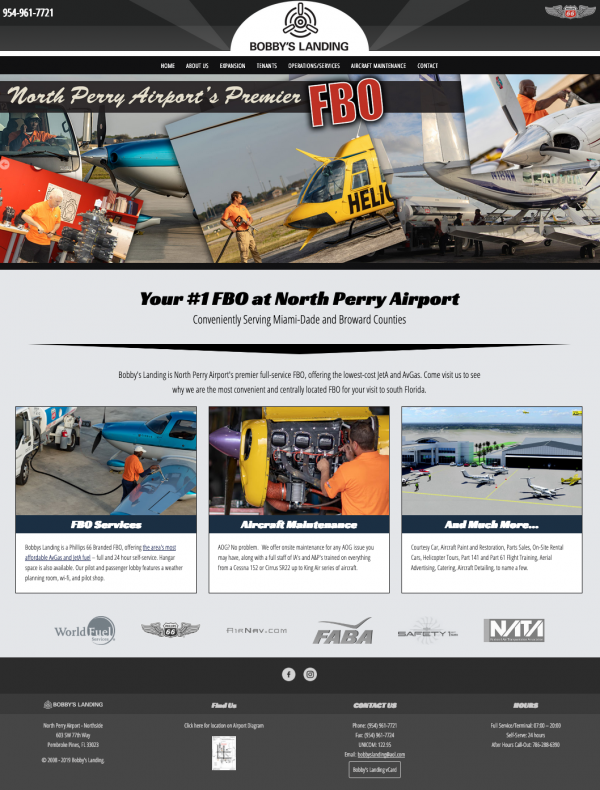 Bobbys Landing is a full-service FBO located on the northside of North Perry Airport, Pembroke Pines, Florida (south Florida). The terminal at Bobby's Landing features a weather planning room, lobby & reception, kitchen/vending machines, and wi-fi. Phillips 66 branded JetA and AvGas are available via our mobile refuelers (trucks) on each side of the airport as well as self-serve fueling at an even greater discount and for after-hours operations. We strive to keep our fuel prices the lowest in southeast Florida.